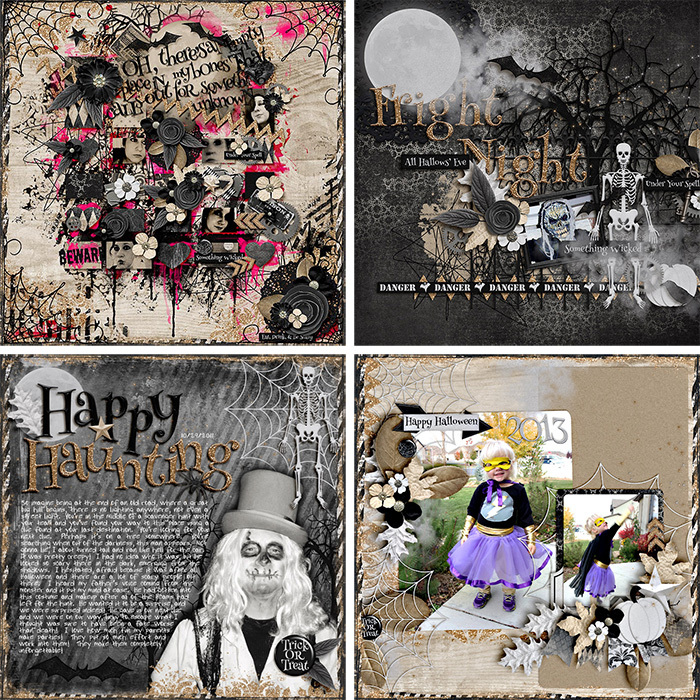 Enter Night - 20% Off! I know, I know... it's only September! I've had Halloween on the brain this week though. My 2 year old is just starting to "get" the excitement of the holidays, and she was really fascinated with some Halloween decorations at the store this week. She's been requesting Halloween episodes of her favorite tv shows, and she likes to pretend to be "a sca-wy ghost!" I'm sure this will all be old by this time next month, but we're enjoying the fun for now. 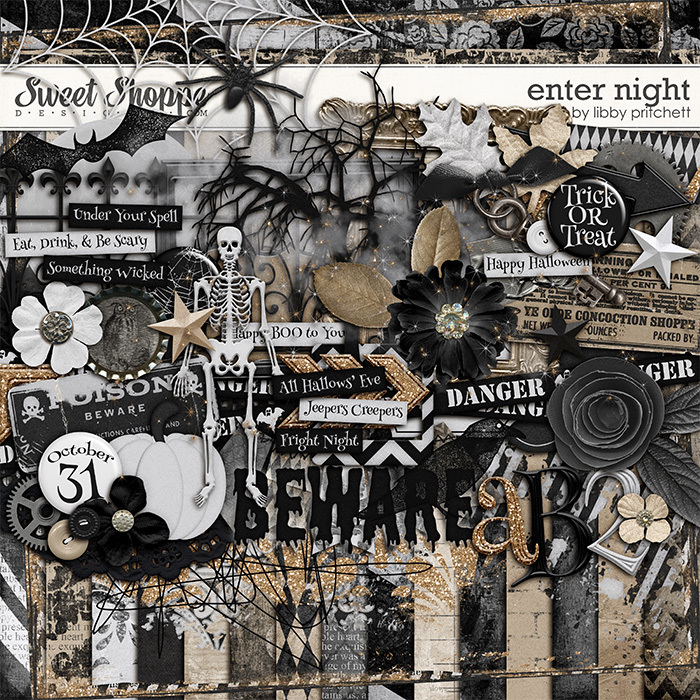 So, in the spirit of Halloween, I had to bring you this delightfully spooky kit called Enter Night! It's the perfect combination of dark & creepy and feminine & sparkly. Perfect for all of your boo-tiful memories! 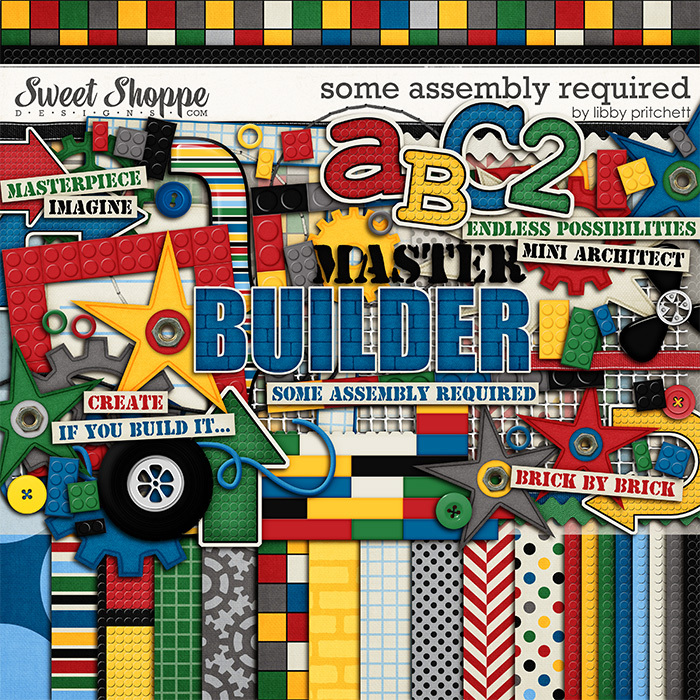 In case you missed the Sweet Shoppe Blog last Monday, I was featured in our weekly Memory Lane Monday post. Robin chose to highlight my Some Assembly Required kit. Even though this kit was created in 2011, it's still my most popular product. So, I was thrilled to see some new layouts with it! You can grab it through Sunday night for 40% off! Hey Baby, Let's Go To Vegas!I'm super excited to be taking this week off from designing as I prepare to head to Las Vegas for our 2nd annual Sweet Shoppe Staff Retreat! Last year was absolutely incredible, and with 16 of us going again this year, I have no doubt that this trip will be just as memorable! Don't worry though! We have a very special event planned to keep you entertained while we're away. More details on that coming soon!